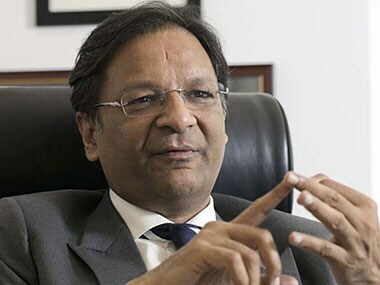 Ajay Singh, who turned around budget carrier SpiceJet, is set to buy NDTV for a total deal value of Rs 600 crore, a report in The Indian Express has said on Friday. Singh has been the chairman and managing director of SpiceJet from January 2015. Sources in both SpiceJet and NDTV have denied any such move though. "With reference to your letter seeking clarification on the news item appearing on www.moneycontrol.com, we wish to inform you that the promoters of the Company have not entered into any agreement for sale of their stake in the Company to any person," NDTV said in a clarification to the stock exchanges. However, the IE report citing sources says the deal is almost done. “Yes, the deal has been finalised and Ajay Singh will take control of NDTV along with editorial rights,” a source has been quoted as saying in the report. The source has told the newspaper that after the deal Singh will hold 40 percent stake in the company and founders Prannoy Roy and Radhika Roy will hold 20 percent each. Reacting to the news, the shares of NDTV have hit the upper circuit of 5 percent at Rs 53 on Friday. It has to be remembered that NDTV has been making losses for the last 10 years and the accumulated losses of the company stand at Rs 1,474 crore. However, the political significance of the likely deal, if it is true, should not be lost. Singh is a known supporter of the ruling BJP and has been even part of the party's 2014 election campaign. The channel, which has a few editors who are critical of the BJP government and the Hindutva ideology of the Rashtriya Swayam Sevak (RSS), is being probed by the Central Bureau of Investigation for alleged irregularities in a share transaction. The investigative agency had in June searched the houses of the Roys for allegedly causing financial losses worth Rs 48 crore to ICICI Bank in connection with that transaction. The agency has registered a case against Prannoy, his wife Radhika and the company. Roy has maintained that the CBI case against him was "ridiculous and a concocted set of facts" and that he and his wife Radhika have "never touched black money and never bribed even a single person" in their lives. The raids had become controversial as the move was seen as an attempt by the government to muzzle its critics. "The raids mark an alarming new level of intimidation of India’s news media under Prime Minister Narendra Modi," an editorial in The New York Times said on 7 June, questioning why the government is going after NDTV while many big defaulters are still at large. All in all, if indeed the deal between NDTV and Singh fructifies, it is sure to kick off another storm in the Indian media. 1) Singh had started SpiceJet way back in 2005. In 2010, Kalanithi Maran had taken control of SpiceJet by buying stakes from the Kanshagra family and Wilbur Ross. Singh, who was a director with the company, also sold some of his stake, which stood around 10 percent then. When he again took over the reins at the company in January 2015, he still held more than 4 percent stake in the company but was not a director. At present, he holds 60.25 percent stake in the airline. 2) He has indeed turned around SpiceJet. From a company which was making losses, it has now become a profit-making one. 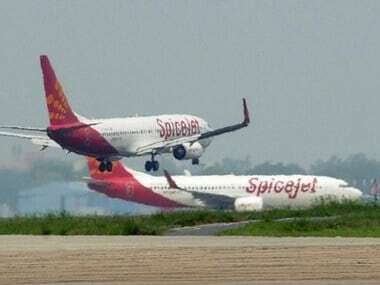 For 2011-12, 2012-13, 2013-14 and 2014-15, SpiceJet had made losses worth Rs 604 crore, Rs 192 crore, Rs 1,001 crore and Rs 747 crore respectively. However, after Singh's takeover in January 2015, the company has done a dramatic turnaround. In 2015-16, SpiceJet reported Rs 450 crore profit and in 2016-17 Rs 431 crore. In the first quarter of the current financial year, the company's profit stood at Rs 175 crore. "We don’t do anything at the cost of profitability. We are not looking at market share at all. In fact, this has been one of the problems at SpiceJet earlier. It was running after market share at the cost of profitability. Results are there to see. If the market share goes up, then it is fine but we will remain focused on profitability," Singh said in an interview to The Hindu BusinessLine in February 2017. 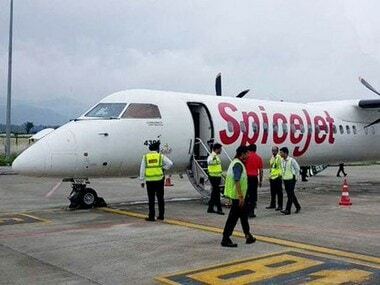 Under Singh, the share price of SpiceJet rose 559 percent and market capitalisation by Rs 7,307 crore. During the same period, the BSE Sensex rose 8 percent. 3) Singh had bought 58.46 percent stake in SpiceJet in January 2015 for just Rs 2. This was revealed in a disclosure made in a Delhi High Court's judgement pertaining to a dispute between SpiceJet's erstwhile owner Kalanithi Maran and his investment company Kal Airways Pvt Ltd. The court has asked Singh to pay Rs 579 crore to Maran in the share dispute. 4) Singh is a serial entrepreneur. Apart from SpiceJet, he also had an auto parts business, which he started with Honda Motor's former president BVR Subbu. His magic stint as the director swung the loss-making Delhi Transport Corporation into profit, an article in the Outlook magazine said. 5) When he started SpiceJet way back in 2005, his aim was to make it the McDonald's of the aviation industry. Towards this end, Singh studied business models of international budget airlines like RyanAir closely. Captain Gopinath's Air Deccan also was a learning experience. He doesn't mince his words while criticising Gopinath, who sold his airline to Vijay Mallya, who later grounded it. "His intentions were great, but his model was flawed," Singh has been quoted as saying of Captain GR Gopinath in the Outlook article. "SpiceJet is the result of the right team, the right brand and the right execution," a BS article quotes him as saying. 6) He is a sports buff and an arts collector too. According to an Outlook article, Singh was the captain of his school cricket team, when Shah Rukh Khan was the wicket keeper. "Sports inculcates the spirit of leadership and teamwork. It also teaches you how to act in adversity and press home advantages for your team. Running a business is very similar," he says in that article. 7) His links with the BJP is deep rooted. It was his friendship with late BJP leader Pramod Mahajan that catapulted him into the limelight. Mahajan was the telecom and IT minister in the Atal Bihari Vajpayee government. "I learnt a lot from Mahajan. It was a delight to work with him. He was a great human being with unlimited dynamism," Singh has been quoted as saying in this Business Standard profile. 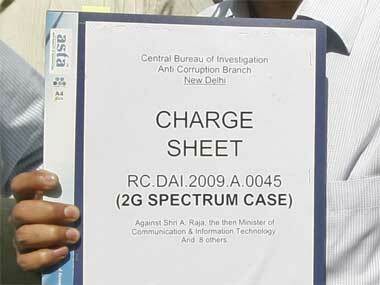 During the NDA-I rule, Singh was officer on special duty in telecom and IT, and information and broadcasting. He is credited with penning the National Telecom Policy and the Information Technology Act. If Singh buys out NDTV, his business acumen and political loyalty will be put to an acid test. Will he be able to run a media company with no political biases and editorial intervention, especially at a time when the government policies and the BJP and RSS' ideologies are facing many uncomfortable questions?